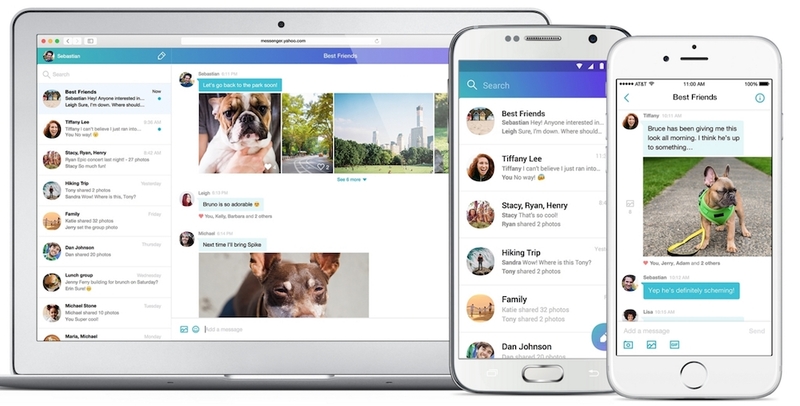 Yahoo just announced a new version of Yahoo Messenger, which features a complete redesign of the platform across iOS, Android, and the web as well as within Yahoo Mail. “The new Yahoo Messenger provides a super fast, beautiful and smart way to send messages, photos and animated GIFS in 1:1 and group conversations,” a spokesperson for Yahoo tells WebProNews. The new Messenger lets users search for and send GIFs from the app (powered by Tumblr), share as many as hundreds of photos in a message, instantly, and in high resolution. This is powered by Flickr’s photo platform, and photos are displayed in a horizontal scrolling carousel. Users can also “like” photos, messages, or GIFs that are shared. Another helpful feature is that you can take messages, photos, or GIFs back even after they’ve been sent. Good for “late night” messaging. The new Yahoo Messenger is available globally starting today. It’s in the process of rolling out. For now, it’s just in English, but will expand to additional languages soon.